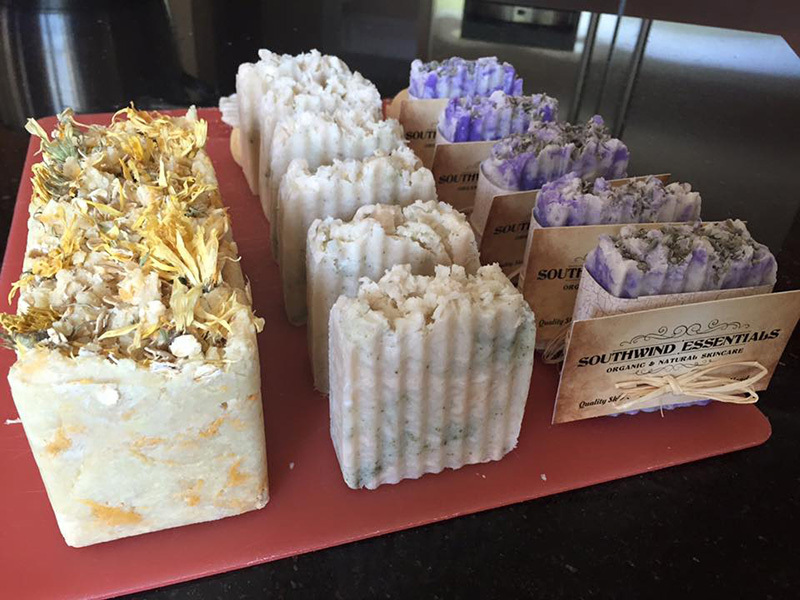 I recently had the pleasure of meeting a local business owner named Karen Clark who creates amazing natural skin care products, right here in North Carolina. She has a little Etsy shop called Southwind Essentials and I was able to try out her line. I have been using everything for about two weeks now and I am very impressed with how my skin feels…fresh, clean and invigorated! I am also blown away by how affordable the line is (everything is between $12 and $18)! Because this line has worked so well for me, I wanted to share my review of all her products I am currently using. For day time, I next apply a small pump of the Botanical Facial Serum which helps to plump up fine lines and make my skin look more refreshed. 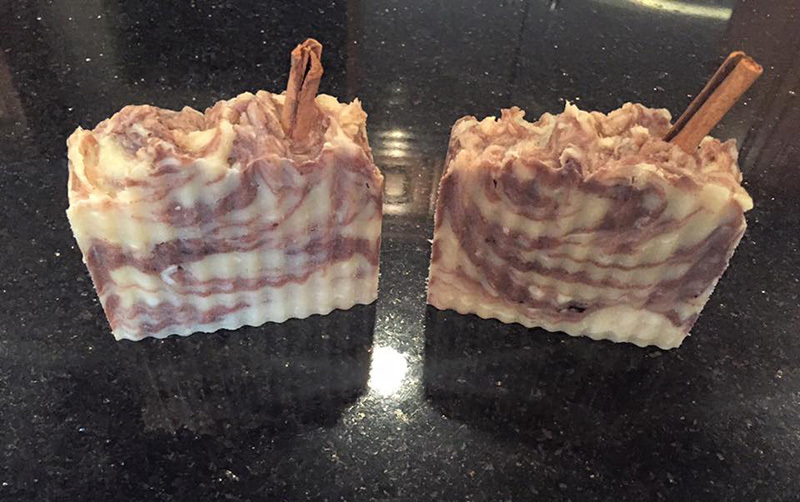 I have naturally oily skin and this product works really well to help balance it out. At night, I alternate between a few other products that are a little more aggressive and the Facial Oil in this line. Finally, I top it off with a small amount of the Lemon Lavender All Natural Facial Lotion. Just reading the ingredients you know this is amazing for sensitive skin. Check out the ingredients list: Purified Water, Organic Herbal Extracts of Chamomile, Calendula, and Comfrey, Vegetable Glycerin, Shea Butter, Coconut Butter, Soy Extract, Vitamin A, Vitamin C, Vitamin E, Phenoxytol (green tea), Grapefruit Seed Extract, Organic Lavender Essential Oil, Organic Lemon Essential Oil. Considering this whole big bottle is only $12, I’m not going to lie, I have been using it as an all-over body lotion too. The scent and feel of it are great! Other amazing products from Karen are the Peppermint Skin Polish (which I use everywhere!) because it exfoliates the top layer of dead skin but doesn’t do it harshly. 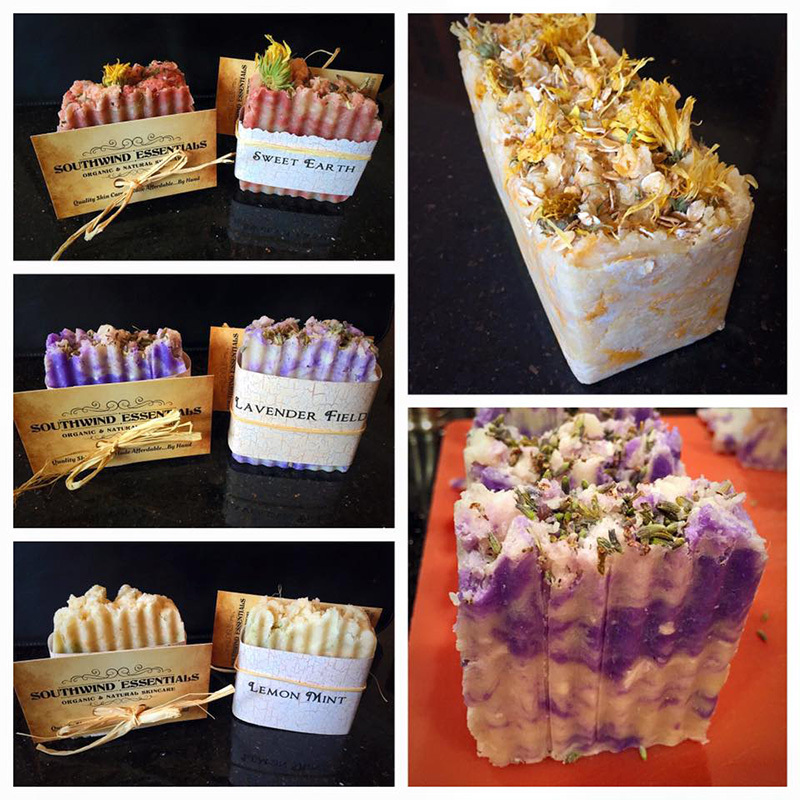 Lastly, umm, can we talk about these handcrafted soaps? They are seriously like little works of art and are so great for your skin. It seems everyone is into harsh treatments to strip and scrub your skin off but this skincare line, along with the Luna Mini facial cleanser device, takes a different route, using a more natural and less abrasive approach. I am very impressed with how, over the past few weeks, my skin has changed for the better! 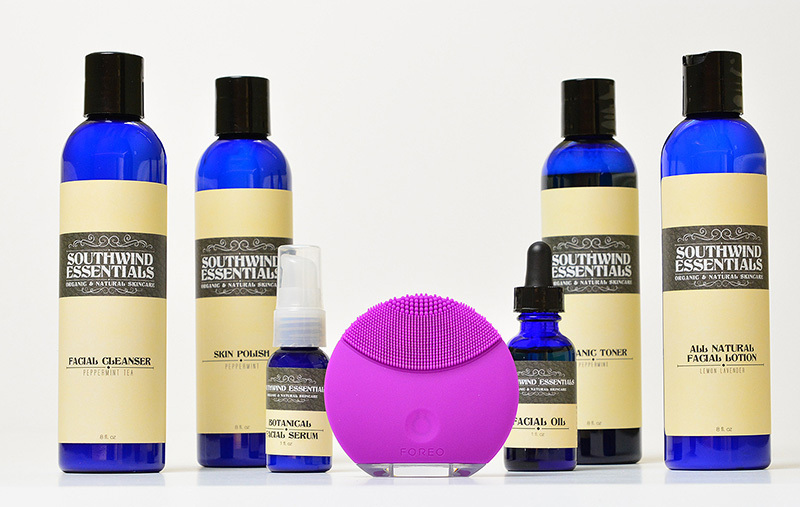 Shop now and get a 10% discount on her skin care line at checkout using code SBB10!